If you’re thinking about college, one of your biggest worries will be money. The typical college student is either struggling to keep their bank balance in the green or notoriously broke – but, it doesn’t have to be that way. It is possible to attend college and keep your bank balance intact. 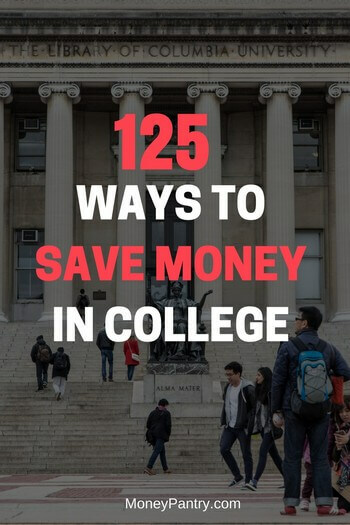 In this post, we’ve compiled more than 100 money saving tips for college students. Plus a few tips on how to make money while you’re in college. With these tips you can save some money, avoid getting yourself into a cycle of debt, and most importantly, make your college experience a much happier, and less stressful experience overall. To maker it easier for you to find different money saving options, we decided tips into different categories. Clicking on any of these links will take you straight to that specific category. In college, one of the biggest (if not the biggest) expenses is your tuition. If you’re still in high school take advanced placement classes. Some colleges allow you to skip introductory courses if you get a high score on an AP exam. And, if you’re at a college where you pay tuition on credit hours – it’ll cut down your tuition cost. And, it might allow you to go to school part-time, while working or graduate early. You can see what types of financial aid you’re eligible for. Plus, if you submit it as soon as possible – preferably just after October 1st of the year prior to your college start date, the financial aid office should give you first consideration. You can learn all about FASFA on U.S. Department of Education’s website. Meeting regularly with your advisor keeps you from taking classes that you don’t need that don’t count towards your degree. Some courses have higher fees than others – so make sure you know the costs associated with each course you take. Then, you can consider cheaper course alternatives. It’s always worth applying for scholarships from your college, as well as other organizations. For a complete list of available scholarships and grants check out Unigo.com. Consider cheaper alternatives – generally speaking, attending a public college costs less than a private college. If you’re considering a public university, stay in-state. Many colleges offer more generous tuition packages to in-state students. To find community colleges around you use the American Association of Community Colleges’ website. If you’re going back home for the summer, then take some classes at your local community college. Usually, these classes are cheaper and count towards your graduation. Federal loans tend to have a lower interest rate, and offer more benefits, like subsidization during school, than private loans. So, if you need a student loan, opt for a federal one. Here is a list of available federal loans for college students and how to apply for ’em. Many bank accounts come with fees for things like too many ATM withdrawals or funds transfers. So, compare accounts, and go for the one that allows you to easily access online banking, manage your account, and pay your bills, without attached fees. For a crash course on choosing the best accounts and a list of top checking accounts for college students, check out The Simple Dollar’s brilliant Student Guide to Checking Accounts post. Accounts aimed at students tend to offer perks, like no-fees on low minimum balances and free checking. When choosing a bank, you need to factor in whether it has ATMs on or near campus – or you’ll incur fees for withdrawing money from a different bank’s ATM. This prevents you from overspending, stops you from buying stuff you probably don’t need and prevents sneaky impulse purchases. Otherwise, you’ll end up paying a lot via overdraft fees. Also, if you don’t know what’s in your checking account, then using your debit card can easily get you into the red. This is because most debit cards continue to work, even when you have insufficient funds. So, if you don’t realize you’re in the red, and continue to use our card, you’ll be charged some pretty hefty banking fees. If you use it right, having a credit card can be beneficial – many offer benefits like cash-back on spending. Get a card with the lowest interest rate possible, that doesn’t charge annual fees. And, pay your bill on time! Only get one if you think it will actually benefit your budget – not so you can spend frivolously. If you don’t pay off your balance on time, you’ll end up wasting your budget on late fees and interest fees. There are many tax incentives for college students that many people don’t know about – like student loan interest deductions. This way you’ll avoid any surprises, and late fees, when you check your online bank. Place any change that you have on you at the end of each day in a jar. Then, once you’ve filled it, count and roll the cash yourself. Don’t take it to one of those coin-counting machines at the grocery store – as these charge fees. You’ll be surprised by how much you save. Once you’ve sorted out your tuition, another big cost is setting up your dorm room or your apartment. Rent a place that has some appliances provided – this way, you don’t have to buy staples like a microwave. Some places also come with basic furniture. Nowadays, it’s easier than ever to find quality, second hand stuff – check out sites like Craigslist, Carousell and Shpock to get your hands out some great used furniture. Just remember to always be safe when meeting a seller – meet in a public place, take a friend along with you, and tell another friend where you’re going. Ask your family members or friends if they have any furniture or appliances they no longer need. An arm chair is always going to cost more than a bean bag chair – and let’s face it, it’s less fun too! So, if you can, consider more affordable alternatives when picking out furniture. Decorative pieces and accessories, aren’t a necessity. But, if you want to spruce up your apartment a bit, shop at stores like Wal-Mart or Target, rather than at stores that specialize in accessories and home décor – these tend to be more expensive. Amazon is a great option too! Having a quick chat with your roommate, or roommates, before you go shopping, can prevent you from double-buying items – and wasting your money! Some dorms don’t allow certain items, like candles and hot plates for example. So, rather than wasting your money buying stuff you’re not even allowed to have in your dorm room, learn what items are a no-go. Whether it’s your first year at college and you just don’t want to stay on-campus, or you’re in your second year and are tired of dorm room living, then you might choose to live in an off-campus apartment. But, living in your own apartment brings its own plethora of money matters. So, here are some simple tips for saving money on off-campus apartment living costs. When apartment hunting, look at a few places, and don’t just go for the first one you like. Compare the cost of rent on each place, and factor in what utilities, if any, are included. Using sites like Apartment Guide will help you find and camper apartments much faster than the old fashion way of looking in “for rent” section of newspapers. Consider renting the apartment with responsible roommates that you can trust. That way, you can split the cost of the rent and utilities. Heat rises, so living on the upper floor tends to keep you warmer in the winter – meaning your heat bills will be lower. But, in the summer, obviously it will be hotter. So, this is only a good option if you’re living somewhere with a cold climate or in an area where the winters are longer – otherwise, live on the lower floors. When you pay your utility bills, like electric and water, on time or even before they’re due, you avoid late fees. When it’s hot open a window – rather than using the A/C. When it’s cold, put on a few more layers, rather than turning the heat up. Keep the A/C or heat turned down or off if you can, and you’ll cut your bills. Taking a quick shower, rather than a bath uses much less water. Keep your showers short too to save money on your electric bill. Do you really need to pay for a landline each month if you already have a mobile phone – probably not. But, make sure you choose the right plan for your usage habits. Check out this article for cheap, and even free cell phone plans. Otherwise you won’t get your security deposit back! If your parents live near the college anyway, then a good way to live off-campus, while saving money, is to live with your parents. Food is one of those areas where it can seem really tough to save money. After all, while you can forgo the bus and walk to school instead, you can’t forgo food. And, it is an everyday expense. But, there are things that you can do to cut down your food bill a bit – without starving yourself! Cooking at home, rather than eating out, saves you so much money! So, learn to cook. Online, you can find tons of recipes that are easy to make – all it takes is a quick internet search. Planning out your meals ahead of time saves you cash. By preventing you from buying stuff you don’t need, helping you to avoid last-minute take-out order, and just making it easier overall for you to keep tabs on what you’re spending. Plus, you’ll never run out of food! According to research, you spend less at the grocery store if you have a shopping list. Make it a habit to never visit a grocery store without one! Buy your snacks and drinks at the grocery store and take them to class with you. Don’t use the vending machines. They’re overpriced anyway! The cost of buying coffee every day really mounts up. So, buy a coffee maker and make it at home instead. You can find basic, but good coffee makers on Amazon for between just $11 and $35. It will pay for itself in no time! Meal planning is a great money-saving tactic. But, if you don’t plan your snacks as well, you’ll still go over budget. Consider your snacking habits and then plan accordingly. Before you head out to the grocery store, take a look to see if there are any deals or loyalty programs on offer. Do you find yourself buying certain items, like coffee or pasta regularly each month? If, so consider purchasing them through Amazon’s Subscribe and Save program. When you subscribe to an item on Amazon, the site sends it to you automatically, every month – and you get a discount of up to 15% on the item, as well as free shipping. If you do a lot of your grocery shopping online, then use cash back sites, like Swagbucks and Ebates. Shop through the shopping portal of the cash back website, and you get a percentage of your total spending back. Many club meetings and other events are held around campus – and most of them offer free food as an incentive to get college students to come along. So, look out for meetings or events that offer free meals or snacks. There’s no use buying groceries when you’ve already got plenty of stuff in your dorm. An app called Out of Milk helps you and your roommate to keep track of what you have in – and prevents you both from buying the same item. Another useful app is Supercook – this app lets you search for recipes by the ingredients that you already have at home. Never go grocery shopping when you’re hungry. 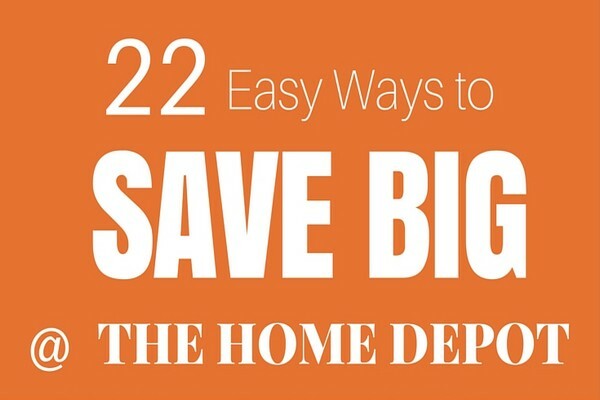 You end up buying way more than you actually need, and put a dent in your budget. If you can, invest in a slow-cooker. Slow-cooking can turn cheap cuts of meat, which are generally tough, into tender cuts. Also, it’s easy to make enough food for leftovers too. When you can, always purchase generic items. They are the same as name brand items, but much cheaper. After all, pasta is pasta and bread is bread! Avoid living off junk food just because it’s cheap. It’s not healthy – eggs, canned beans peanut butter, yogurt, whole-meal bread and oatmeal are reasonably priced, but offer nutritional value too. Before you go to the grocery store, check online to see if there are any discount codes available. Where you can, avoid going to sit down restaurants – especially with a large group. At most sit down places, you get charged 15% gratuity. And, if the group decides to split the bill evenly it can cost you even more – because if you tried to eat cheap, but the rest of the group didn’t you’ll end up paying for more than what you actually consumed. Visit sites like Restaurant.com and Groupon to see if there are any deals or coupons for local restaurants. And, when you decide on a restaurant, check its website for coupons and other deals. Another cost that’s also a big part of college life is entertainment/activities. These costs relate to basically anything you do to have fun and activities you do during your down-time. The cost of these little activities might seem small, but over the month, they can really add up – putting a big dent in your annual budget. So, here are a few things you can do to make sure that having fun, and relaxing doesn’t impact your budget too much. Forget about the T.V. Stream content on your PC/Xbox/whatever other device allows you to stream stuff. With Netflix – which costs way less than most cable packages – Hulu, Amazon Prime Instant Video (students get this free for six months! ), and YouTube, there’s really no reason to pay for cable or any other T.V. package nowadays. Watching DVDs is also pretty cheap. You can find used ones in good condition on sites like Amazon, and some of them cost just pennies! Most devices, like laptops and Xboxes have a DVD player in them anyway. Whether it’s sporting events, art exhibitions, concerts or movie showings, you’ll often find plenty of free events hosted around campus. Attending these types of events reduces what you spend on entertainment. In this paper, you’ll likely find information about free events and things to do on campus and in the local area. It’s a great resource for finding cheap or even free stuff to do. Also, you might find coupons that save you even more money. Rather than buying a stereo, use your computer to play music. All you need to do is set up a few playlists on iTunes, and you’re good to go. Or, even better, logon to YouTube or Spotify and play pretty much any song you want for free. You can even find full albums on there. Look out for coupons and deals. Also, go to the matinee showings. And, keep an eye out for free movies on campus – often there’s a great selection of classic, independent and student films on offer. For more tips, check out our post on how to get discount movie tickets. Then, everyone can watch it for a fraction of the cost to rent. Only share it with responsible friends though! Reading, walking, going for a picnic, flying a kite, playing a game of soccer or football, and jogging, are all low cost activities that you can try out. Or a club based around any other interest or hobby, like running, cooking, weight training or chess. Volunteering is a good way to keep yourself occupied, and help other people in the process. They list free events and places to go, like craft fairs, festivals, museums and concerts. Thanks to the Internet, there’s really no reason to be bored nowadays, even if you don’t have any money! On the internet you can learn about pretty much any topic you want, join groups based around your interests, play games, and talk to people around the world. You can find tons of codes for free rentals from Redbox. Exercise busts stress, improves your cardiovascular health and is just pretty awesome for you overall! And, as a college student, you’ll also want to counteract the negative health effects associated with all those late night study sessions drinking with friends and exam-related stresses. But, you might think to yourself that you can’t afford a gym membership – well luckily you don’t have to! You can get a great workout, without having to spend hundreds of dollars each year on a gym membership. Whether it’s running, yoga, or hiking, joining a sports or fitness club is a fun way to workout for free. Many campuses offer exercises classes, like spinning, tai chi and kick-boxing. These are cheap and sometimes even free. If you already have a games console, like a PlayStation or an Xbox, buy a fitness video game. They are fun, and, aside from the upfront cost of purchasing, free! It’s a great form of low-impact exercise. And, it doesn’t cost you anything. Getting outside and just doing activities like, going for a brisk hike, sprinting up a hill, doing some pushups or bodyweight squats in the middle of a field, is a great way to exercise for free! Every student has to buy books – that’s just a part of college. And, as you have probably heard, they can be pretty expensive. So, below, we’ve given you a few ways to save money on your textbooks. Before you go out and buy a textbook, check to see if someone else has it already. And, ask to borrow it. It’s a good option if you only need the textbook for a short period. The library is a really underrated place to find books. And, best of all, you don’t have to pay anything at all for them – you just borrow them for free. Check out your college’s library or local library for textbooks. If you can’t borrow textbooks, then the next best option is to buy used college textbooks. A few great places to find them are at secondhand bookstores, Amazon.com, and Chegg.com. If you do that, then you can sell them when you no longer need them. You can sell your college textbooks online or sell them back to the campus bookstore. Check for an international edition of your textbook if you are buying new. It will likely be exactly the same, aside from maybe the cover, but much cheaper! Unless your parents live nearby, laundry is another one of those pesky expenses that you just can’t avoid. And, as well as taking time out of your schedule, it can cost you a pretty penny! It costs around $2 to $3 to wash and dry your clothes at a laundromat. That might not sound like a lot – but, if you’re doing a few loads per week it really adds up. Rather than buying it single use from the machines, make sure you bring your own detergent to the laundromat. It’s more expensive than the off-brand option and a waste of money. Generic products clean your clothes just the same – without the hefty price tag. Certain clothing items, like jeans and hoodies don’t have to be washed after a single use. By wearing these types of items, you can save on overall laundry costs. Try doing your laundry without fabric softener and see if you really miss it. You can save money by ditching it. Never buy it full price. Look out for discounted products and products on sale at the grocery store. 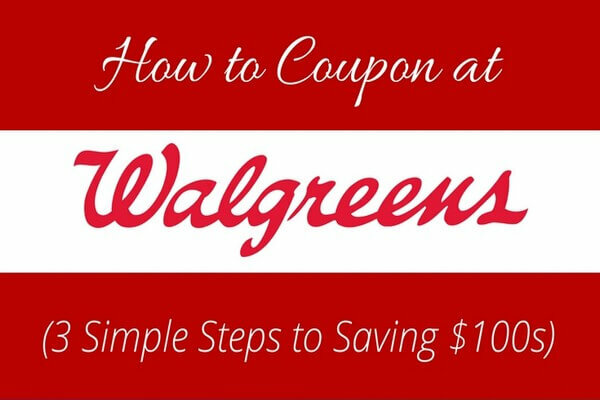 See if there are any coupons on offer online or in a local newspaper. Or, consider subscribing to a detergent on Amazon.com – you save up to 15% and get free shipping. Do your laundry yourself at the laundromat and you’ll save cash. Stay and wash it yourself, and spend your waiting time reading a magazine or a book, or studying. Don’t do half-full loads. The fewer washes you do, the less cash you will spend. Fill the machine to capacity. Air drying your clothes after they come out of the washing machine can cut your laundry bill in half – if you have the space to do that of course. Buy a cheap drying rack to hang wet clothes. Bigger items, like your towels and bedding will still need to be dried in a dryer. But, for lighter items, like t-shirts, it’s a good idea. Don’t think that you have to stick with the prices at your local laundromat or your campus laundry machines. Find out the best cost per load deal in the area, and use that laundromat instead. As heavier items, like jeans and towels, take longer to dry compared to lighter items, like t-shirts and underwear, you end up running the dryer for longer than you need to, which wastes energy. So, if you’re doing laundry in your apartment, then dry heavy stuff separately. Again, if you’re doing laundry out of your own off-campus apartment, you need to save energy. One of the best ways to do that is to clean the lint filter regularly. The air will circulate better, your clothes dry faster – and you lessen your electric bill! Food and entertainment are not the only things you’ll find impacting your wallet – there are plenty of other expenses too! And, one of them is general shopping expenses. Whether you’re out shopping for groceries or cellphones, traveling, going to the moves or dining out, always ask about a student discount before paying for anything. In college, generally, you want to spend as little money as possible. But, some purchases that might seem expensive at the time, could pay off over the long run. For example, a well-made, but more costly pair of shoes will probably last you the next four winters – but a cheap, poorly made pair might only last you a year and you’ll end up having to spend money on another pair. Buying a pack of five bottles of shampoo is much cheaper than buying singles. This is the case for most products. Buy in bulk and you’ll save money per unit. If you can, get your friends to pitch in with you to pay for an annual membership at a place like Costco or Sam’s Club. At these types of stores you can find toiletries, clothes, school supplies and other stuff at a lower price – and you can buy in bulk. There are tons of excellent second-hand stores out there nowadays. Often, you can find high quality clothes, from big name brands, but at a fraction of what you’d pay at a regular clothing store. In fact, there are so many great deals that some people make money with thrift store flipping. If you go to the hairdressers to get your hair colored – then consider buying a box dye and color your hair at home instead. Similarly, consider cutting your hair at home too – a pair of hairdressing scissors, or a hair cutting kit can be bought for a small price. Getting stuff dry cleaned is expensive – so only buy machine washable stuff. When buying something, make sure it’s practical, durable and you’re going to get a lot of use out of it. Otherwise, you’re just wasting your money. Whether it is shaving cream or shampoo, purchasing store brand personal items is always going to be cheaper. And, these products accomplish the same thing anyway. Most of them are just overpriced and don’t offer you anything more than their cheaper counterparts. You don’t need the most expensive moisturizer or conditioner to make yourself look good. Most high end grooming products have the same ingredients as the cheaper ones do – the only difference is the price tag! Whether it is mascara or shampoo, you can often get cosmetics for free if you know where to look. Check out this in-depth article for more info. Christmas can be an expensive time of year for college students. So, to lessen the impact on your bank balance, do your shopping early! It’s less stressful and often cheaper. Consider doing it in the days just after the holidays – there will likely be tons of clearance sales, and you’ll have your presents ready for next year. Yet another unavoidable expense at college is transportation and travel. Whether it’s traveling from your apartment to your class or back home to see your parents – transportation costs can quickly eat up your budget. So, here are a few things you should try to reduce the cost. Parking permits, maintenance costs, and gas are all car-related expenses that cut put a big dent in your budget. Sell your car, or leave it at your parent’s house if you can. If you do really need to have a car, then make sure you don’t become the resident taxi driver. Giving friends the occasional ride is okay – but if you’re constantly driving people around you’ll quickly blow through your gas budget. Taking the bus to school is much cheaper than driving a car or taking a cab. Cycling or walking to school and wherever else you need to go, is even better than using public transportation. Walking is completely free. And, owning a bike costs a fraction of what it costs to own a car. When you need to take a cab, make sure you split the fare with your friends. If you plan to stay off-campus, then get a place nearby. That way you save on travel expenses. Again, if you really must have a car – at least make some money from it. FreeGasHelp.com will pay for your gas, if you put advertising on your car. Another company called Wrapify pays you monthly – up to $450 per month – for advertising on your car too. Consider cheaper destinations and accommodation. Or skip it all together. Road trips can be fun – but more costly than you would think. Gas, accommodation, and food and drink costs can really add up on a road trip. There are tons of travel-related discounts available for students. Companies like, Greyhound Bus, Choice Hotels, and Amtrak offer student discounts. If you frequently travel nationally and internationally, then consider getting a student travel discount card. STA Travel and the International Student Identity Card, are both good choices. If another student you know lives close to your family’s home then consider carpooling. If you split the cost of gas it makes traveling home a lot cheaper. When you’re at college, it’s likely that you’ll want to keep in touch with friend and family. But, you might find yourself running into steep monthly costs if you aren’t careful. Here are a few simple things that you can do to lessen the cost of keeping in touch. A lot of people pay for packages that include features that they don’t need – for example, if you mostly text, do you really need a package with unlimited calls? Use comparison websites, like WhistleOut.com and Wirefly.com, to find the package that best suits your usage habits and your budget. With the amount of VoIP services out there nowadays, there really is no reason to pay to make your calls. Services, like WhatsApp, Skype, Viber, and Talkatone allow you to make calls over Wi-Fi, for free. But, the other person you call must have the app too. Again, why pay to send texts when there are services out there that let you do it for free? Splitting the cost of one plan between family members is a lot cheaper than a standalone account. Packages that include a lot of data are often much more expensive, and going over your agreed data usage limit can also be costly. So, keep your data usage low. And, use Wi-Fi to browse the web as much as possible. Many carriers offer discounted cell phone plans to students. So, it’s always worth taking a look. One of the best things you can do to save money in college is work while you’re in school. You not only earn extra cash for food, travel, entertainment and other expenses, but you could even reduce the amount of interest you pay on your student loan – and you can pay off your credit card quicker, if you have one. There are tons of jobs that college students can do both online and offline, which pay reasonably. Here are a few ways to make money while you’re in college. It’s a transcriptionist’s job to listen to audio and type what they hear. So, if you’re good at typing, then consider working as a transcriptionist. The average pay is $15 per hour. And, you can do this job online. 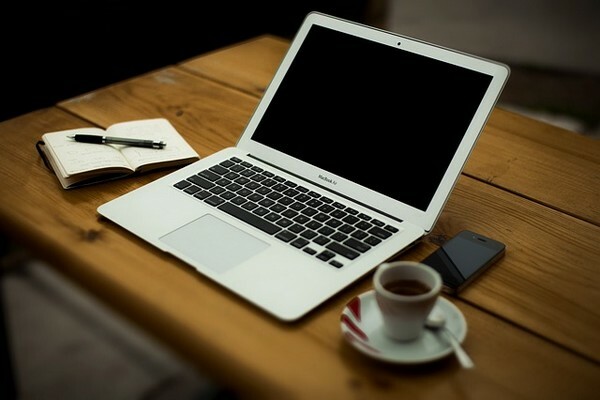 Here is a list of legit transcription jobs. Fiverr is a digital marketplace where people can buy and sell services. And, these services can be anything from video making to website testing. Check out this article for Fiverr gigs anyone can do and this post on the most profitable fiver gigs. Swagbucks is a “get paid to” website. It gives you points to do all sorts of tasks, like filling out surveys, watching videos, browsing the web and shopping. You can redeem these points for cash and gift cards. On Amazon Mechanical Turk you get paid to complete random tasks – like editing transcripts. You can take on as little or as much work as you want. It’s a simple way to make money during your downtime. Consider selling some unwanted stuff to make a few extra bucks. Check out this article and this article to learn more about selling stuff. InboxDollars pays you for doing a variety of things, like receiving and responding to e-mail advertisements, playing games, filling out surveys and more. Use your knowledge and study skills to tutor people. You can tutor online, or students in your local area. You not only get a steady income, but you also might get to eat for free! When you’re in college there are a surprising amount of expenses that you’ll have to deal with. From paying for tuition to furnishing your apartment to buying food – there’s a lot to pay for. And, it can seem a bit overwhelming. But, if you follow the tips above, you’ll definitely save money, and your bank balance will look at lot healthier at the end of the semester. Plus, you’ll feel less stressed about your finances in the process.